The nature of the home remodeling project itself, the materials you need, the cost of contractors to hire, building permits, whether or not there is a justifiable return on your home improvement investment, e.t.c. -– all of these are important factors to consider when planning your project. When it comes to costing for your project, keep in mind that on average, you can expect to pay $50 to $100 per hour for an electrician, $20 to $35 per hour for painters and around $70 to $80 an hour for a good carpenter. We have factored these average prices into our costing. Also note that the prices we mention are on average across the US, however costs may vary depending on where you are building. For example, coastal regions and major cities are likely to cost more than country towns. 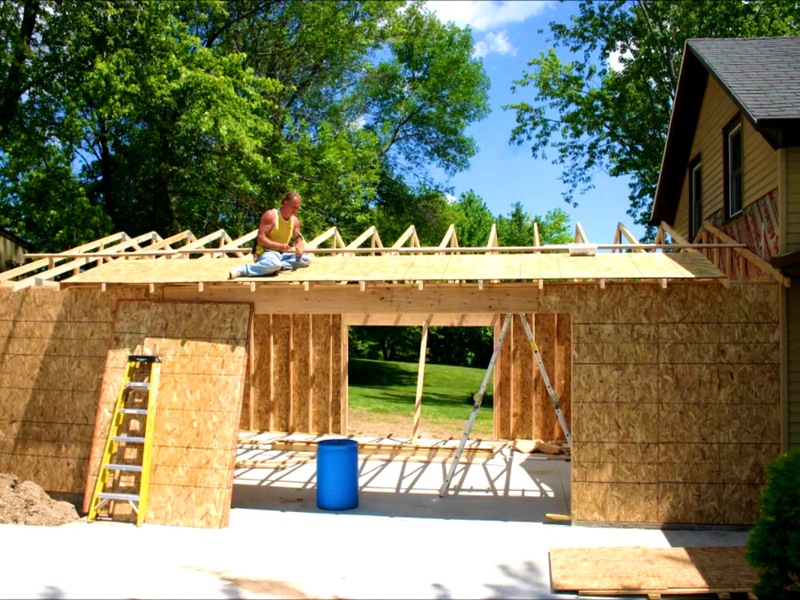 When it comes to building a garage, you should start by determining your budget, and then decide on the inclusions you want. 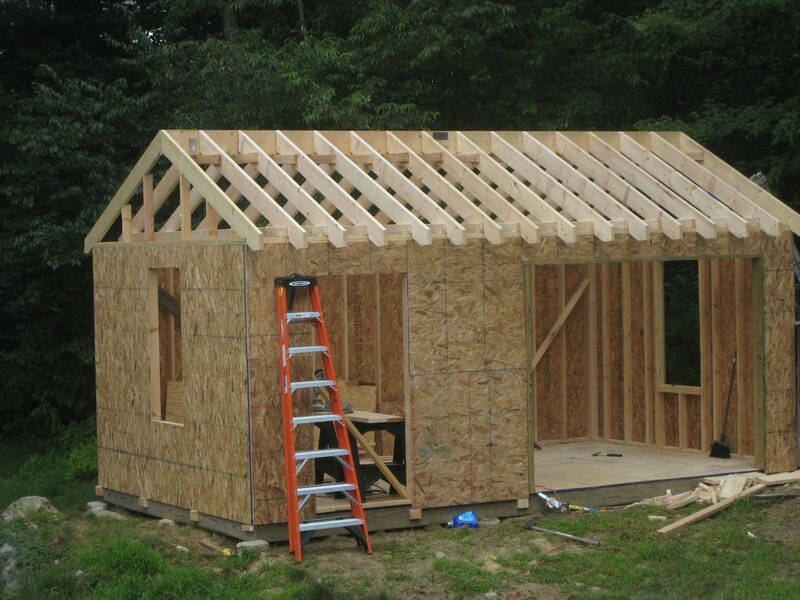 You have two main options to choose from for the design – you can have a detached garage which stands on its own, away from the house, where you could also consider a second level for living, workshop or storage space; or attached so it sits on the side of your home and is generally more affordable. Whatever design you choose, you need to take into account the following to get an accurate quote: the size you want (double, single, three-car, compact, storage space); what materials it will be built from (for the walls – drywall, metal panels, plastic, cement; for the roof – gypsum, styrofoam, cork, tiles); windows and the type of door you want. Detached: You’re going to pay more from the outset for detached, which you might put behind the house if there isn’t space to build next to it. Cost: You’re looking at paying around $15,000 to $20,000 including labor and materials, but you can expect to pay more if you’re including plumbing, electrical lines or HVAC; and add another $5,000 to include a second level. Cost per square foot: $30-$40. Attached: The less expensive of the two, attached garages connect to your home; saving you money immediately by utilizing one wall you have already in place. That means you’re only building three walls instead of four, and being next to the house, you can take advantage of close proximity to your home’s electricity and plumbing to save on installation fees. Cost: For a single garage, expect to pay between $10,000 and $12,500; while a double garage will be in the vicinity of $30,000. This includes materials and labor costs. Cost per square foot: $40. ROI: Best return on investment is for detached, which allow for added living space above the garage itself. 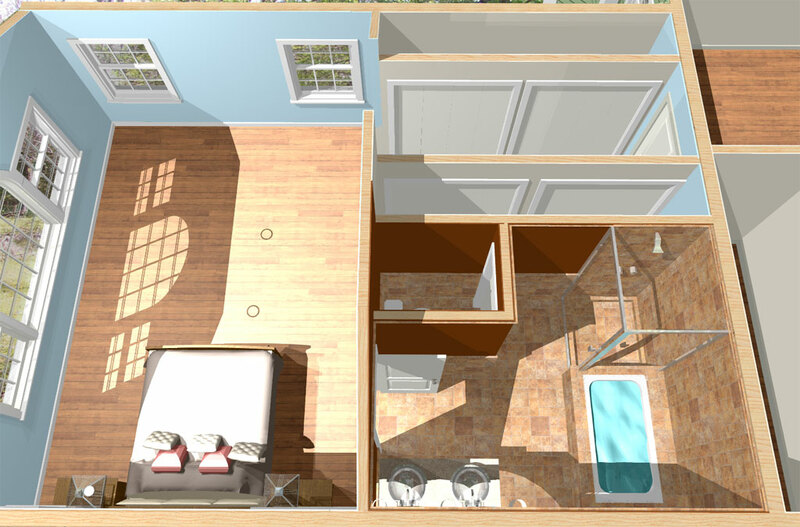 You could include a small bathroom and kitchenette, then rent that space out to achieve 100% returns (and more). There is nothing quite like soaking up the morning or afternoon sunshine in your own sunroom and if you have the opportunity to include this as an addition to your home, we highly recommend it. With walls of glass that invite the sunlight in, you’ll be protected from the elements as you enjoy basking in the sunshine all year round. 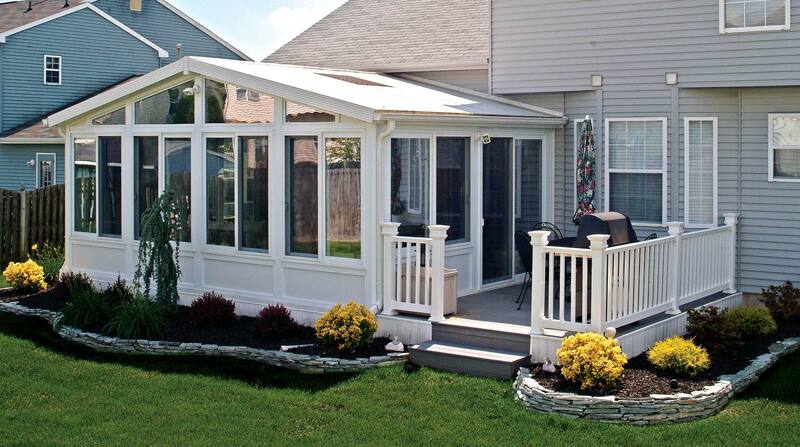 Sunrooms are affordable and popular, and are generally made from vinyl or aluminum. You can save money by skipping heating and using the room only through the warmer months (or only when the sun is shining directly on the room during winter). 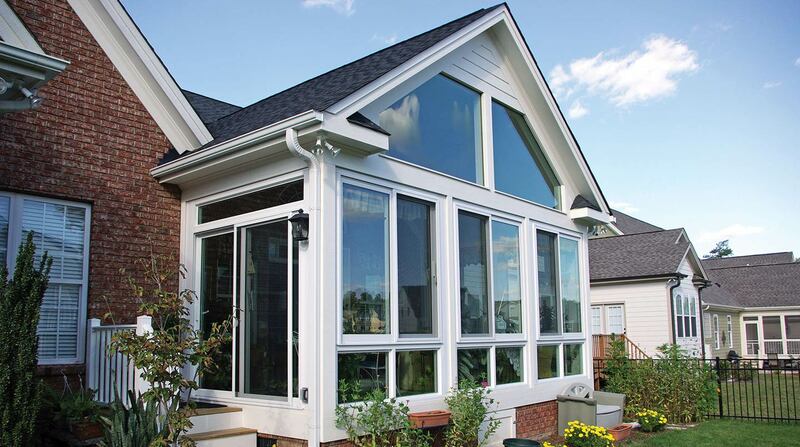 Cost: The average cost of a sunroom addition depends on the size and features you want to include. Generally you’ll pay anywhere from $20,000 up to $75,000, including labor costs for painters, carpenters and electricians. Average cost per square foot: $350 – $380. ROI: Adding a sunroom will increase your home’s general value, so if you’re planning on selling any time soon, you should see a 50% return on the money you spend. Reach in closets or walk in closets and wardrobes will help you to keep your sanity in a space that can quickly get messy. Having the freedom to arrange your clothes in open space, without having everything thrown in drawers that are hard to maintain; not to mention the added storage space you’ll gain, makes getting a closet or wardrobe well worth your while. If you have smaller space to work with and less to store, a closet is the ideal choice. You can choose from a walk-in or a reach-in, depending on how much space you have to work with. 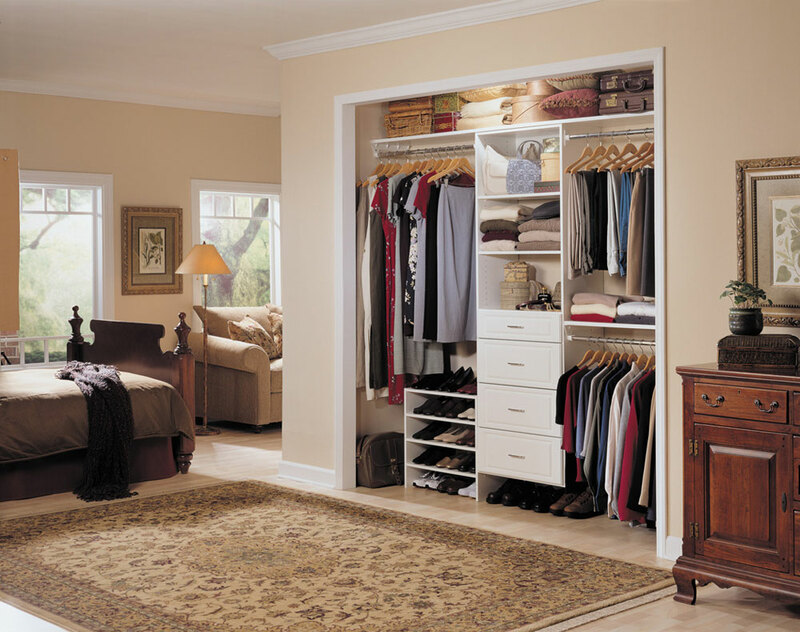 If you’re getting one closet or wardrobe, why not buy in bulk – getting all the bedrooms fitted. You’ll save money – and get a greater return in the long run. Cost: You’ll spend an average of around $1,500 to $2,000 for a simple walk-in closet of around 6.5 foot wide, and between $1,000 and $2,500 for a reach in closet or around $2,500 for a wardrobe. This price will increase if you need extra walls built. Average cost per square foot: $10 – $15. ROI: 100%. Pay $2,000 for a closet, and if you sell your home, you can easily ask an extra $2,000 to the total price. The family is expanding and you’re running out of space, but rather than move to a bigger house in a different suburb, consider adding another bedroom to your home. It’s easier than you think. Choose to build out, adding the room on the side of the home, or up, adding a second level; with the first option much more affordable and more practical in many circumstances. Building up could include a single room, or an entire floor, and in either option the price will increase. Cost: Bedrooms generally don’t need a whole lot of hidden extras, so you can expect to pay between $150 and $250 per square foot, inclusive of labor costs, if you choose to build on the side of the home. 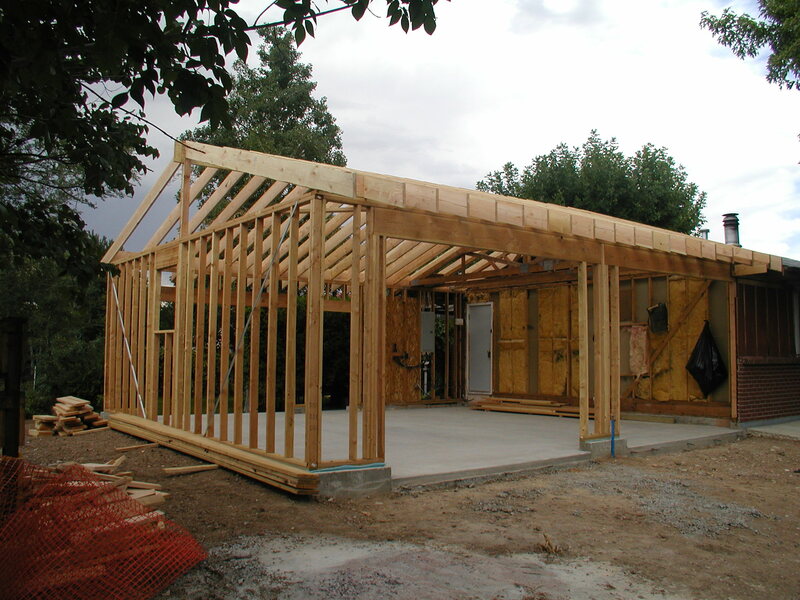 ROI: Building out will add immediate value to your home by extending the building’s perimeter, though it will decrease the amount of yard space. If you’re selling, expect a positive ROI of around 50%. Many dormers are there for show. They make homes look more appealing to anyone who might be walking past, or considering buying, or they could be more practical in that they provide you the added benefit of more space in your attic. 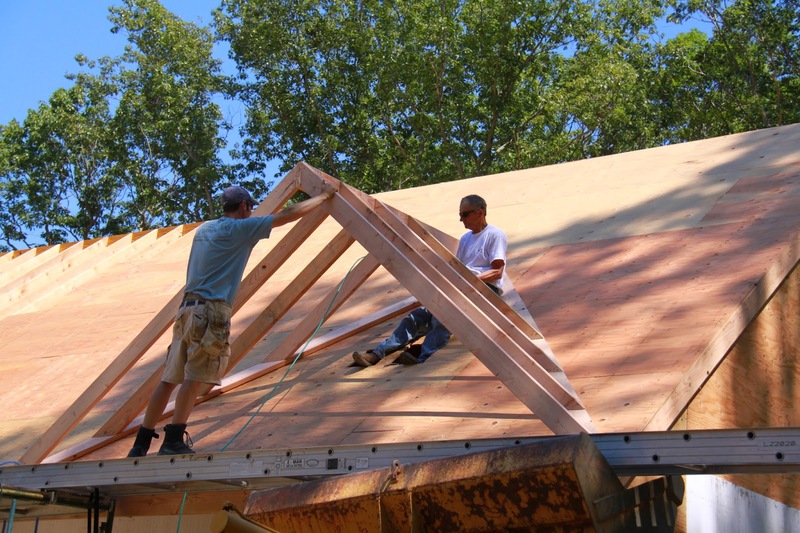 Adding a dormer to your attic, or including a shed dormer at the back of the home, could help turn it into a more livable space and more flexibility. Cost: Dormers aren’t cheap. They will cost anywhere from $10,000 to $25,000 (or more) to have installed, depending on size, location on your home and materials required. 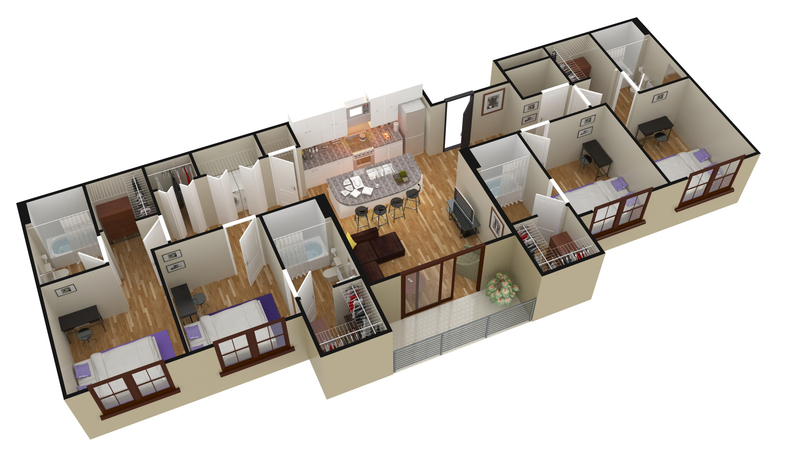 Average cost per square foot: $80 – $120. ROI: Added space, more light and better looking style of home are all added benefits if you decide to sell. We’d say you will get around 40% returns financially, but the benefits of the added light will also save on electrical bills, so add another 20%+ over 10 years. 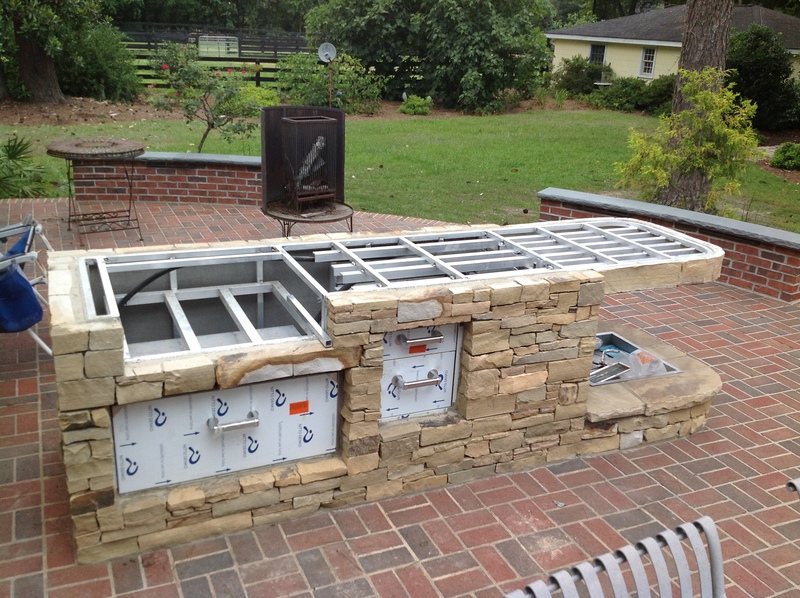 Enjoy summer with all the benefits of an outdoor kitchen, great for entertaining friends and family, or just for yourself. When considering this as an addition on the home, you need to take into account several factors. The most important is the grill – what type, size, style grill do you want or need to be able to feed all those hungry mouths? 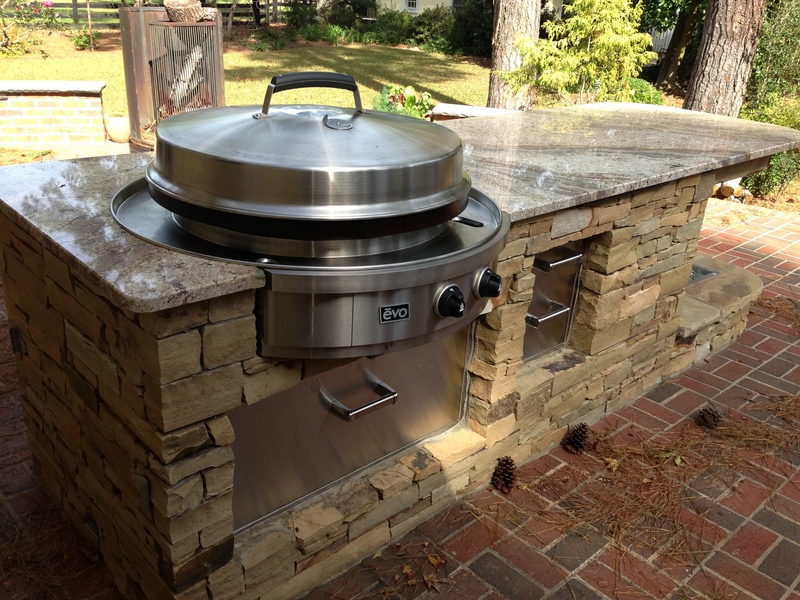 Do you want gas, electric or open flame (such as a fire pit)? Next you need to choose your other features – tile or stainless steel countertops are the most popular, and most resilient choices; cupboard space might be required; and you could need a fridge. What about a sink? Or are you close enough to the actual kitchen that you can get away with taking a few simple steps from outdoors to indoors? These are just a few of the things to consider. Cost: Around $5,000 for something basic; up to $150,000 for extravagance. Average cost per square foot: $25 – $70 depending on materials. ROI: Lapping up a life of luxury, enjoying the sunshine and basking in the glory of your amazing cooking, we’d give this return 100% when it comes to enjoyment. For financial gain if you decide to sell, you could get a 100%-200% return if you live in a nice, sunshine-filled area where the new owners will benefit greatly from being able to entertain outdoors. Winter has left the building and the weather is warming up. 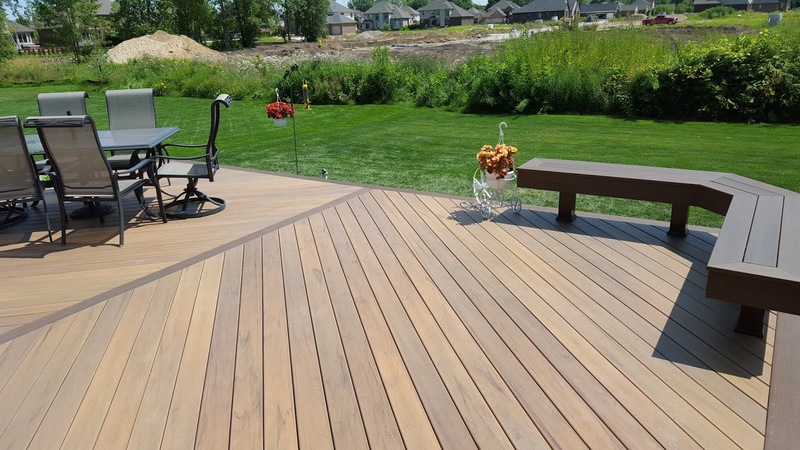 No doubt you can’t wait to get out in the sunshine again and there’s no better way to enjoy the warmer months than with your own deck, built onto either the front, side, or back of your home. 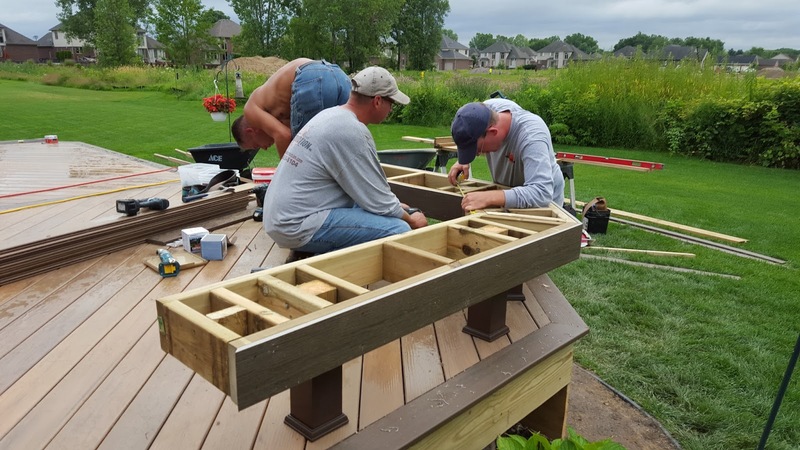 Deck designs are pretty simple, so you’re really just paying for the materials you choose (cedar is popular), the size and the labor costs. For the record, the deck is also a great place to add your outdoor kitchen; and you’ll pay extra if you want a roof as well. Cost: Anywhere from $2,500 to $10,000, including labor and materials. Add an extra $500 to $1,500 for a roof. Average cost per square foot: $50 – $150. ROI: You’ll be the favorite hosts in town with your new deck so you can expect a return on investment of 100%+ for popularity; and another 80% to 100% for financial gain if you use the right materials so that it is both visually appealing and practical. The butler’s pantry, also known as a scullery, has been around for centuries, though it was phased out of most homes built in the past 50 years or so. These days though, the addition of a butler’s pantry is increasing in popularity and many home owners are taking full advantage of the benefits this can add to your kitchen, and value to your home. The butler’s pantry is basically a small room that is built near the kitchen, usually with a sink, countertops, space for fridges and dishwashers, and plenty of storage for your tableware and linen. It keeps the mess out of your kitchen, and hidden away from guests and children. 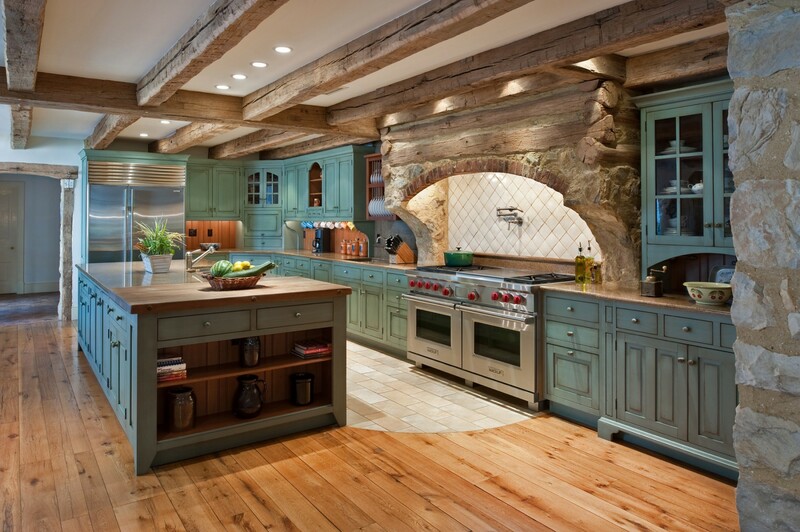 Have it added on the side, built into another room, or use extra kitchen or dining space. Practical and valuable. Cost: Depends on the size and materials (cut costs by using budget materials – the room is hidden anyway! ), but you can expect to pay anywhere from $1,000 up to $10,000. Average cost per square foot: $80 to $200. ROI: Added storage is always a bonus. We believe this would offer a minimum 50% return, up to 200% if you use budget materials, simply for its practicality. 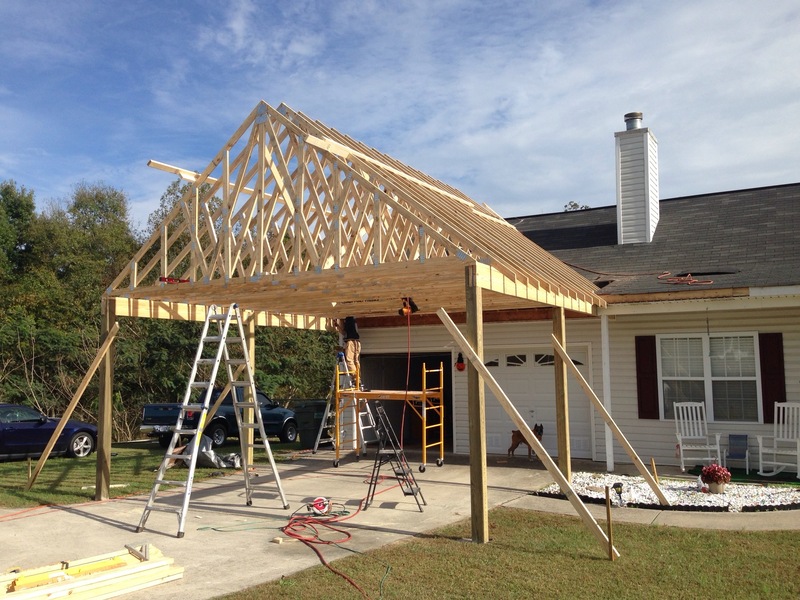 Building a shed on your property will give you the added bonus of more storage space for things like the lawnmower, and additional space to play if you decide to use it as a workshop. Sheds are also ideal “man caves” and great spaces for your next DIY project or car restoration (out of sight, out of mind, so you can make as much mess as you want, without getting in trouble). Cost: Between $1,000 and $5,000 depending on size, inclusive of materials and labor. You’ll spend more if you want to include HVAC systems and electrics. Average cost per square foot: $20 – $25. ROI: If you use your shed as a man-cave or hobby space, you’re going to have a 200% investment return simply through the “me time” you’ll enjoy. Financially, a shed will add certain value to your home, with the projected return dependent on how much you spend. Expect anywhere from 50% to 80%. Your family is growing and one bathroom is no longer enough, so the best option is to build a second bathroom, or an ensuite. Take into account the inclusions you want – is a shower enough, or do you want a bath as well; are you looking for something more budget friendly, or is money not an option? There are both cheap and expensive options for all your bathroom needs, from the fittings to the fixtures, flooring to the faucets. Luxury options include gold plated taps and expensive hot tubs; budget options could be a simple shower, basin and toilet in a space of a couple of meters squared. Cost: Expect to pay anywhere from $8,000 to $15,000 for a medium sized bathroom with basic shower, toilet and basin. Add another $4,000 for a bathtub and $3,500 if you want new floors. If you want to go all out luxury with a hot tub, double shower, sauna, etc – you could be paying up to $100,000 (or more). 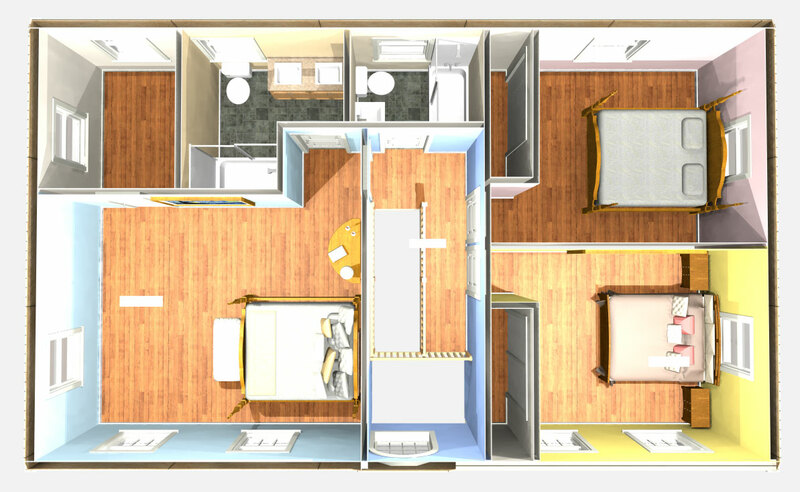 Average cost per square foot: $250. 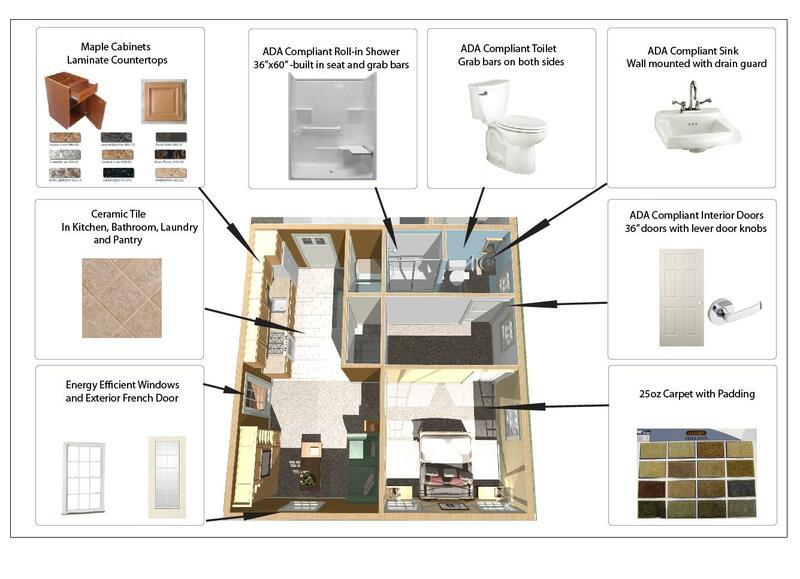 ROI: For a mid-range bathroom, you’re going to see a financial return of around 60%. One of the great things about living on a big property in America is being able to own your own farm animals and if you are considering additional housing for them, particularly when winter is coming up, building a simple barn is an easy option that requires minimal preparation. Decide whether the space is for animals or storage, what style of barn and the size you want, what materials (steel, wood frame, pole barns) are there any special permits you need for your State (particularly when it comes to the number of animals you can have), does it need electricity and do you require a loft. Cost: Adding a barn to your property will cost around $4,000 for something small, up to $55,000 for something over 1,000 square feet; including labor and materials. You’ll pay extra if you need electricity and plumbing installed. Average cost per square foot: $5 – $25. ROI: Depends on the size and quality, but with barns generally built to last between 40 years and 100 years, we estimate that over time, you’ll easily get a 100% return. If you decide to sell your property, expect to gain around 75%. One of the biggest problems with a basement is that they are a haven for mold, which can be both detrimental to your health and the foundations of your home. Having a wet basement can be a nightmare, regardless of if it is caused by the weather or a leaking pipe. Once you’ve cleaned up the mess (or had a professional do it), you need to consider getting basement waterproofing, which will help to clear out and protect any cracks in the walls or floors, and of course the expert will be able to determine where that water is coming from. Cost: Hiring someone for waterproofing your basement can cost as little as $250 for minor problems, or it could be as high as $20,000 for a major waterproofing project. The average is around $7,500. Cost per square foot: $10. ROI: Nothing compares to safety, so if you are considering waterproofing, you’ll help to prevent harmful mold and keep the foundations of your home safe – 200%+. Picture the sunroom we mentioned earlier, where you can sit, relax with a coffee, and enjoy the warmth of the sun shining in on you all year round. Then add the fresh breeze that floats through your fresh smelling yard. 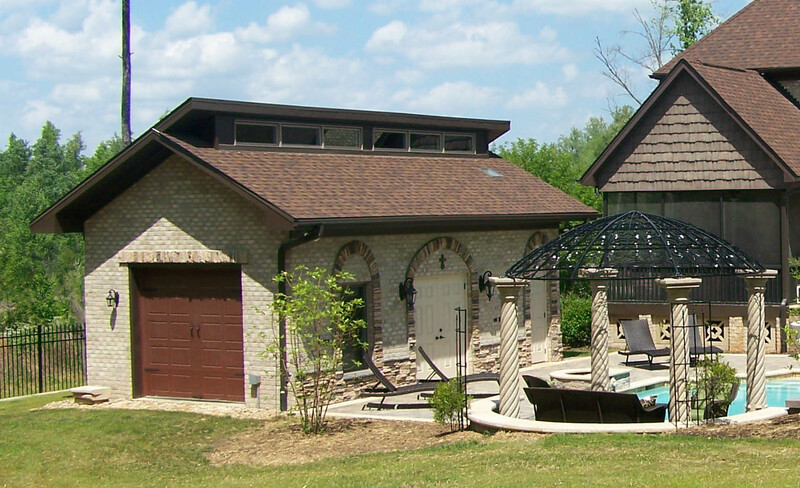 A patio is just a sunroom, without the walls, so you have the best of both worlds. You have a floor beneath you and a roof over your head, but you don’t have walls locking you away from the natural setting, and blocking out the breeze. One of the biggest benefits of a patio though, is that you DO have the option of turning it into a sunroom by adding walls, or you might just get fly screens to keep the bugs out. Cost: Anywhere from $9,000 to $25,000. Average cost per square foot: $5 to $30. 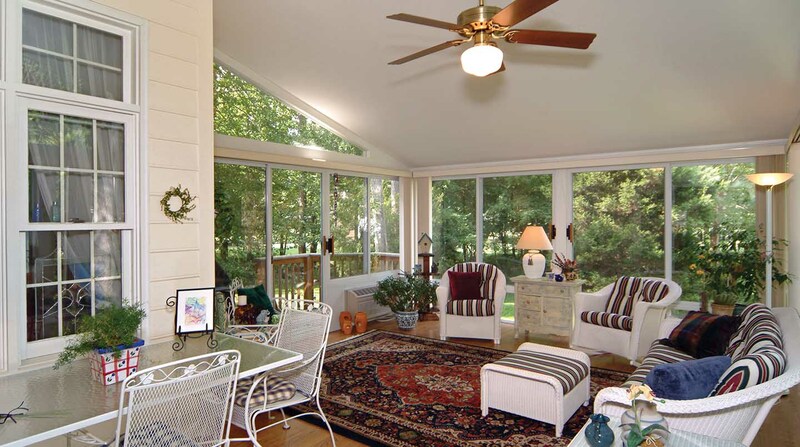 ROI: More livable space, possible transformation into a sunroom, enjoying the outdoors = 100%. And if you want to sell your home for more, we estimate a minimum 80% return. 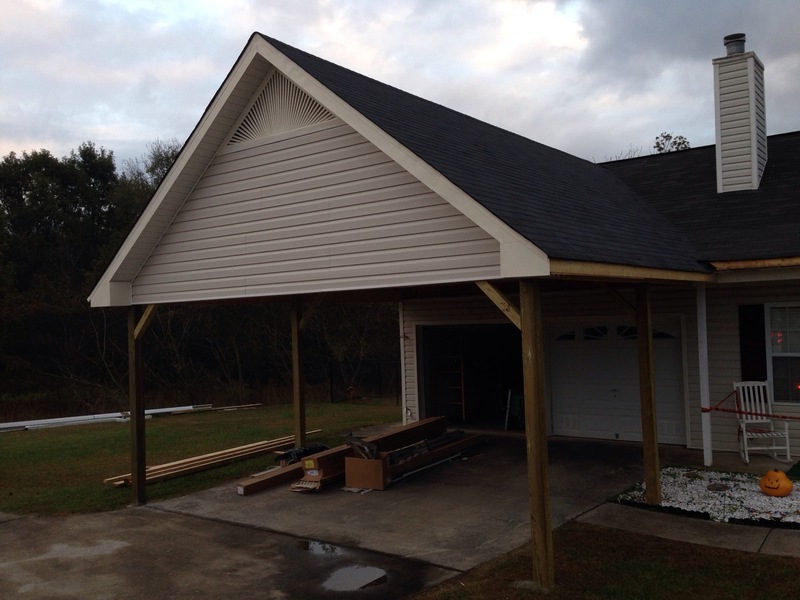 If you don’t have the space or the budget for a garage, a carport is the next best option. It will still protect your car from rain, hail, snow and shine, and it also provides you with a covered area if you have to do a little maintenance, or if you want to add in a small workshop. Generally has a concrete base with metal or wood poles and roof. 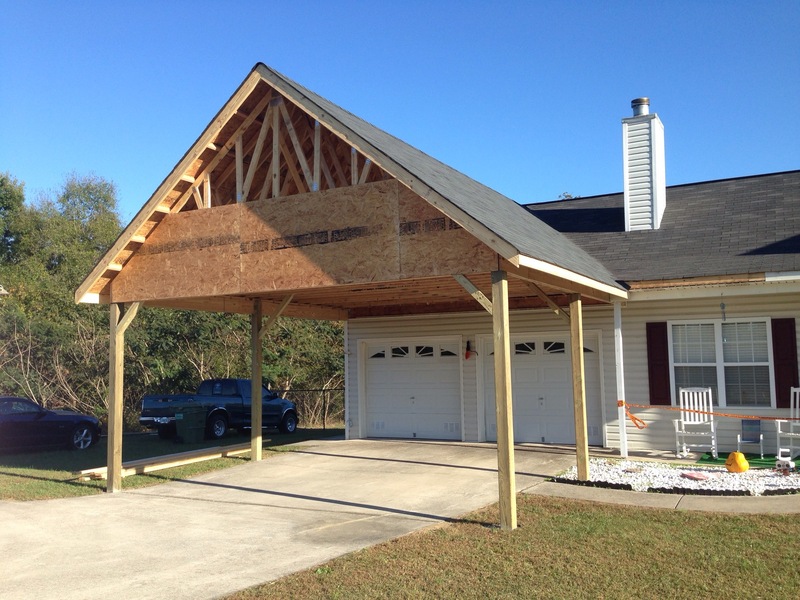 Cost: Depends on the foundation and footers, generally costs between $3,000 and $15,000 to have a carport built, including labor and materials. Average cost per square foot: $5 – $10. ROI: Can increase the value of your property by an average of $5,000 to $10,000, so you should achieve almost a full 100% return. Call it a granny flat, call it in in-law apartment – either way, this is one of the most popular home addition trends hitting the market this year, both in terms of building and selling properties. This little home-away-from-home is great for when you have the in-laws come and stay (to visit the grand kids – hence the “granny” aspect) as a small apartment that is detached from your home. Usually located within short walking distance to your door, and size averaging 600 square feet to 750 square feet, granny flats are practical and stylish additions to your home. You could even rent it out to a student, couple, or young family. Cost: Around $90,000 on average for something that includes separate bedroom, bathroom, kitchenette, living room and laundry, along with cupboard and storage space. Average cost per square foot: $100 – $150. ROI: Having the in-laws come to visit, with their own space – 100%; renting it out – 100% over the long-term; selling your property – 100%. If you want to have a little extra space for your hobbies, maybe an area where you can work on your art, or you need added storage that isn’t filling up your home; a detached addition is a great idea. They are basically just a small shed-style room that you can build anywhere on your property. You could even use it as a guest room, without investing in a full granny flat. You need to take into consideration the following: does the site need excavation and site-preparation? If so, you will probably need to submit a site plan for local building department approvals. You can either hire a professional site survey company for about $1000 or get a basic site plan drafted by 24h plans for about $100. Do you need insulation, plumbing, electrical? If so, does it need to look the same as your house? What about windows and doors? Finally, what kind of flooring do you want (carpet and tiles are generally cheaper than wood)? All of the above items will add onto the cost of a detached addition and should be carefully considered in the planning / assessment phase of the project. 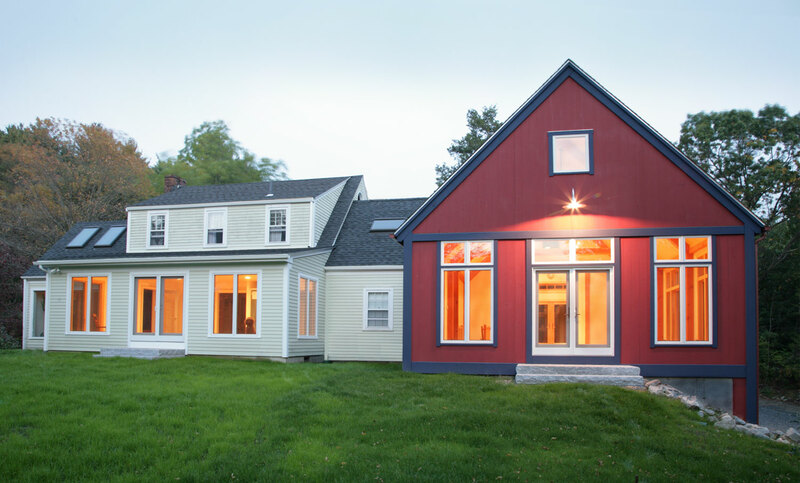 Costs: You can build a small detached addition that doesn’t have any heating, plumbing or electricity for around $15,000 to $20,000 inclusive of labor and materials; or if you want minimal extras, it can cost around $25,000 to $30,000. Cost per square foot: $15 – $30. ROI: Usually 100%, but if not full return, then you can at least expect 80%. A playhouse, also known as a cubby house, is a fun place for your kids to go for playing or time away from the stresses of parents. While it is common for people to go the DIY route on this, getting a professional to build your playhouse can actually be of greater benefit – not to mention the added security and safety! Choose from a range of different styles and sizes, and add all kinds of features to enhance the playroom experience for your kids. You can also choose to use recycled materials or go for a smaller style to save money. Playhouses are also generally easy to move, so if you are moving home, you have the option of taking it with you. 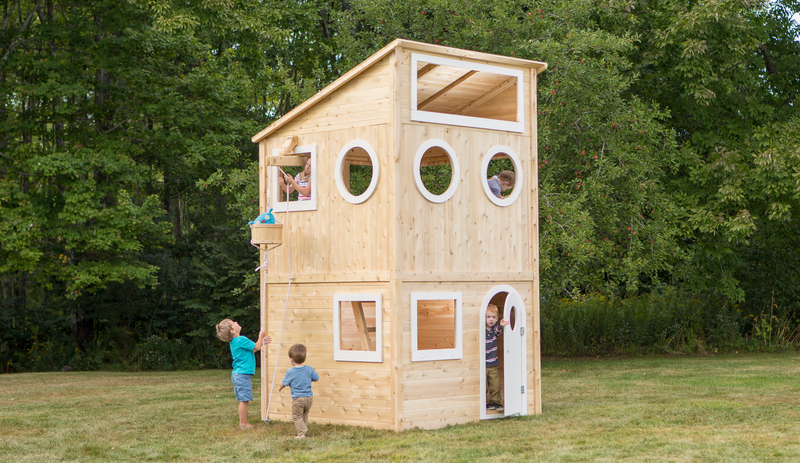 Cost: A playhouse can be built from as a little as $500; anywhere up to $10,000. Average cost per square foot: $10 to $20. ROI: Selling your home – 100%. Easy to move so your children get years of enjoyment- 100%. Somewhere for the kids to play while you finish that book and glass of wine – priceless. Change is as good as a holiday and while the home renovation craze has taken hold across the US, you need to know that if you’re considering changing your existing floor plan, you could be facing some major expenses. The more you change, the more expensive it will be. For example, if you are planning on moving your kitchen to the other side of the house, you need to consider plumbing. Adding extra space, and you need to ensure you have all the right permits and account for the extra materials, electrics, pipes, and so on. Cost: First cost you’ll face is actually having the floor plan designed by an architect and submitted to your local council for approval. This can cost anywhere from $1,000 to $5,000. Then you need to pay for the project itself, which varies depending on how much change you are making to the property; from a few thousand, up to a couple of hundred thousand dollars. Average cost per square foot: depends on the project. ROI: It’s a tough one. Depends on how much to spend initially, compared to how much you paid for the property. If you bought the property for $300,000; and spent $100,000 changing and upgrading everything; you could likely sell it for $400,000 with a 100% return. But on average you can probably expect an 80% return at most. That’s why most people change their existing layout to enjoy themselves, rather than for the benefits of selling. 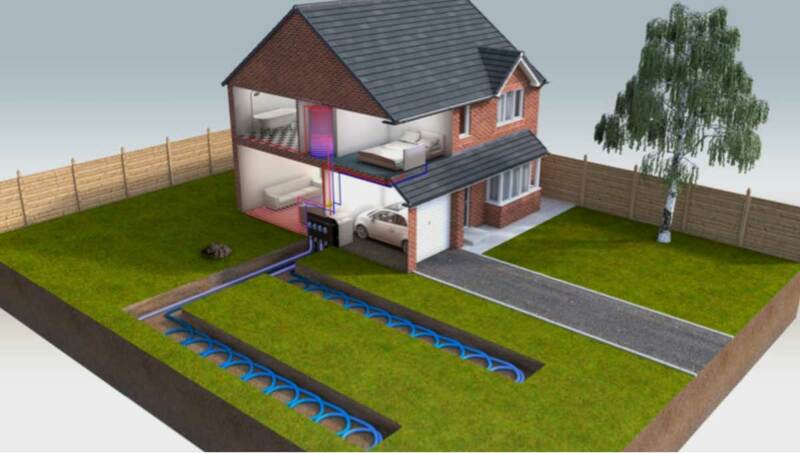 Also known as Geothermal heating, these systems provide homes across the US with energy efficient heating options designed for added comfort, and lower utilities bills. They come in a variety of sizes, including the size of the ground loop required for set up, depending on how much heating your home needs. An average home uses a 3 ton set-up, however this changes based on land availability, local geology, and the size of your home. The biggest bonus is the US government offers tax rebates for energy efficient improvements, and state-by-state, you could even be eligible for other incentives. Cost: Generally cost around $5,000 per ton, up to $25,000. ROI: Straight away you can get a 30% federal tax credit if you invest in a Geothermal Heat Pump; and you’ll also benefit from lower energy bills, and increased value on your property. Within 2 to 10 years, you’ll have a full return on your investment. 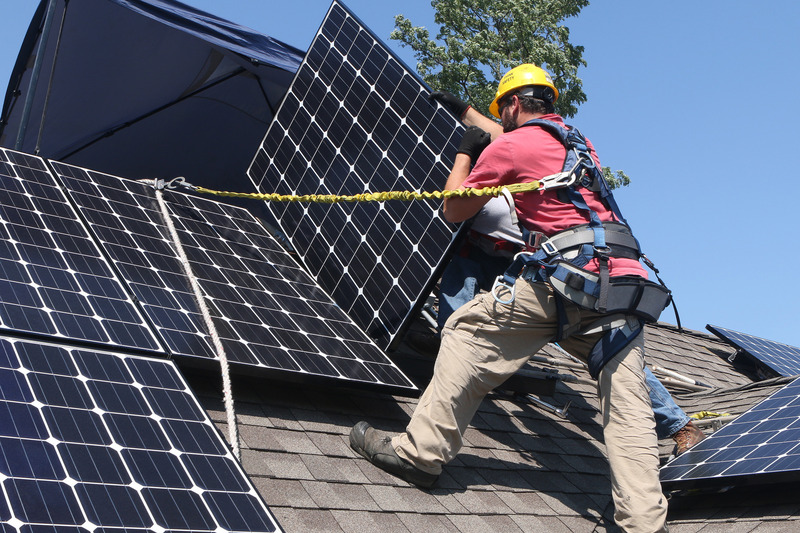 Solar power is becoming cheaper every year and there are so many benefits of investing, including low maintenance costs, helping the environment, reliability (as long as the sun is shining, you’ll never have a blackout!) and solar has been proven to increase the value of your home. While the cost from the outset might seem like a lot, the long term return is worth it. And as with heating, the biggest bonus is the US government offers a 30% rebate if you purchase solar, and check with your local council as you may be eligible for other incentives. Cost: Averages $12,500 for a 5kW system after the 30% discount is applied. Average cost per Watt: $3.50. ROI: 30% straight away; 100% return within 2-10 years.